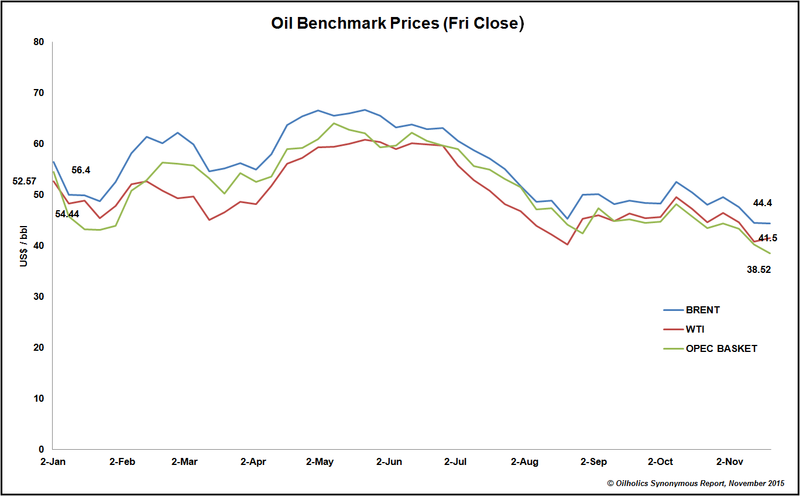 The market’s huffed and puffed, issues and influences have come and gone but both oil benchmarks – Brent and WTI have done little to escape their current ranges by more than $2 per barrel. What’s more, if you outstrip the week’s volatility, on a five-day week-on-week basis to Friday, November 20, Brent ended a mere ten cents lower while WTI rose 67 cents. In fact we've been going sideways for over a month now (see graph, above left, click to enlarge). Expect more of this for some time yet, as oversupply - the overriding market sentiment that has prevailed for much of 2015 - dominates market chatter and will continue to do so for at least another two quarters. With as much as 1.3 to 1.5 million barrels per day (bpd) of surplus crude oil regularly hitting the market, there’s little around by way of market influence to dilute the impact of oversupply. The OPEC ministers’ meeting, due early December, is the next major event on the horizon, but the Oilholic does not expect the producers’ collective to announce a production cut. Since, all players are entrenched in their positions in a bid to keep hold of market share, it would be mighty hard to get all 12 players to agree to a production cut, more so as the impact of such a cut remains highly questionable in terms of lending meaningful (and sustainable) support to prices. Away from the direction of the oil price, yet on a related note, Fitch Ratings unsurprisingly expects the macro environment for EMEA oil and gas majors to remain challenging in 2016. “Crude prices are unlikely to recover (soon), while refining margins will moderate from the record 2015 levels. However, cost deflation should become more pronounced and help to cushion the majors' profits,” the agency noted. While the sector outlook is viewed by Fitch as “generally negative”, the rating outlook is "stable" as the agency does not expect sector-wide negative rating actions. “Credit metrics of most players will remain stretched in 2016, but this cyclicality is a known feature of companies in this industry, and we will only take negative action where we expect the current downturn to permanently impair companies' credit profiles,” it added. © Gaurav Sharma 2015. 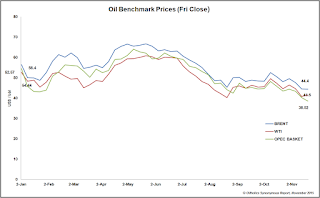 Chart: Oil benchmark prices Jan to YTD 2015 © Gaurav Sharma / Oilholics Synonymous Report, November 2015. In wake of weak oil prices, the upstream side of this ‘crude’ world is going through the worst cyclical downturn in years. The Oilholic’s most conservative of estimates sees the situation staying the way it is, if not worsening, for at least another 15 months. In fact, one feels fresh investment towards exploration and production (E&P) could remain depressed for as much as 18 to 24 months. Both Fitch Ratings and Moody’s have negative outlooks on the upstream industry, as 2015 looks set to end as the year with the lowest average Brent price since 2005. National Oil Companies (NOCs), bleeding cash reserves in order to stay in the game and put rivals out of it, are maximising existing onstream capabilities. Meanwhile, International Oil Companies (IOCs) looking to cut costs, are delaying final investment decisions on E&P projects at the moment. As one wrote on Forbes, Big Oil is gearing up for a $60 breakeven oil price for the next three years and capital expenditure cuts of 10%-15% in 2016 with far reaching consequences. Of course, the pain will extend well beyond the obvious linear connection with oilfield services (OFS) and drilling companies. Global midstream growth is getting hammered by E&P cuts too, according anecdotal evidence from reliable contacts at advisory firms either side of the pond. Most point to a Moody’s subscriber note issued on November 6, that set out the ratings agency’s stable outlook on the US midstream sector, but also suggested that industry EBITDA [Earnings before interest, taxes, depreciation, and amortisation] growth will struggle to cap 5% in 2016. Andrew Brooks, Senior Analyst at Moody’s, noted: "For the past five years, the midstream industry has rapidly ramped up investment in infrastructure projects to serve the E&P industry's extensive investment in US oil and gas shale resource plays. "But now deep cuts in the E&P sector and continued low oil and natural gas prices will limit midstream spending through at least early 2017." There was a sense in Houston, Texas, US when the Oilholic last went calling in February and again in May this year that midstream companies have already built much, if not most, of the infrastructure required for US shale production. Therefore it is only logical for ratings agencies and analysts to suggest incremental EBITDA growth will slow as fewer new shale and tight oil assets go into service. Only thing in midstream players' favour over the next, or quite possibly two, lean fiscal year(s) is the linkage they provide between producers and downstream markets. In Moody’s view this need would mitigate some of the risk of slower growth, even if gathering and processing margins remain at cyclical lows. "And the midstream sector should be more insulated from contract renegotiation risk with upstream operators having less flexibility to force price concessions on midstream services companies than they have had with OFS firms and drillers," Brooks concluded. So all things considered, midstream is perhaps not as deeply impacted as E&P, OFS segments of the oil and gas business, but suffering it most certainly is. That’s all for the moment folks! Keep reading, keep it ‘crude’! 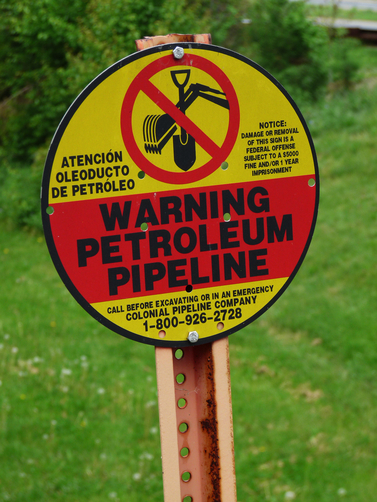 The Obama administration’s long anticipated rejection of the Keystone XL project – an extension [from Hardisty, Alberta to Port Arthur, Texas] to the already existing transnational pipeline between Canada and the US – on 5 November hardly came as a surprise to the oil and gas industry. But is it finally the end of the saga? Not quite, only for the Obama White House staff. Once a new US president is in, the project sponsors can, should they choose to do so (and is quite likely they will), launch a fresh application with amendments and new proposals. Quite frankly, the development might be new but the talking points aren’t. The saga has dragged on and on for seven years and descended into a farce that even provided material for comedian Jon Stewart on more than one occasion (click here). However jokes apart whatever side of the argument you are, that the whole thing got dragged into the quagmire of US politics in the way that it did, is no laughing matter. This blogger has always maintained that the project's rejection is not some sort of a fatal blow to Canada’s oil and gas industry, but rather an inconvenience and one that has arrived at a time of wider difficulties in the market. Several analysts in Canadian financial circles concur and rail freight companies probably cheered the rejection, despite their own problems with safety related issues and incidents when it comes to moving crude oil. Of course, moving crude by rail to the Gulf Coast costs almost double per barrel in the region of $7.00 to $11, but for some it won't be a choice. Moving crude by rail is also probably twice as much environmentally unfriendly, something few of the pipeline extension's naysayers appear to be touching on. There will need to be some medium term adjustments. As the Oilholic noted in 2013, TransCanada is already forging ahead with a West to East pipeline corridor aimed at bringing domestic crude in meaningful volumes from Alberta to Quebec and New Brunswick by 2017 and 2018 respectively. Additionally, considerable amount of lobbying is afoot in terms of looking towards Eastern markets, especially China (despite the recent oil price decline), via British Columbia’s coastline. As for the near term, Moody’s expects currently available pipeline and rail transportation to meet anticipated production growth through to the fourth quarter of 2017. “Post 2017, we expect that as oil egress from Canada becomes constrained, additional rail capacity will fill the void until one of the three proposed major domestic pipelines – Trans Canada's Energy East, Kinder Morgan's Trans Mountain expansion or Enbridge's Northern Gateway – is approved and built,” said Moody’s analyst Terry Marshall. 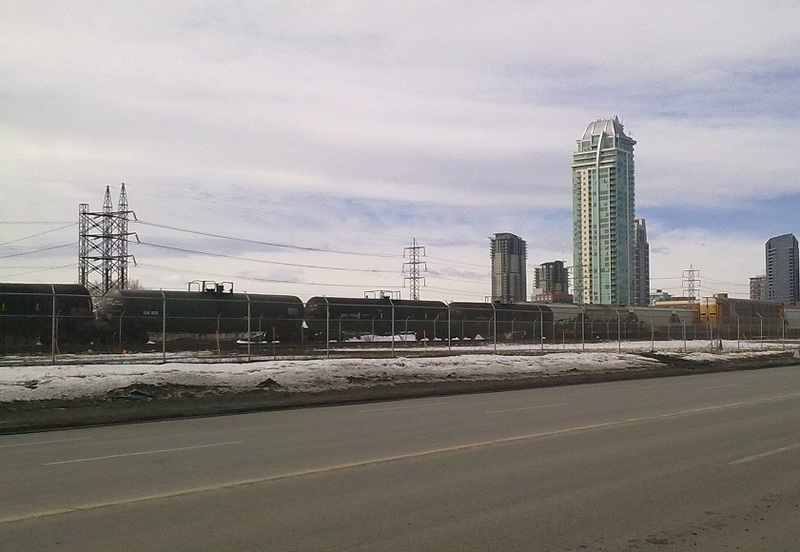 There already exists about 550,000 barrels per day (bpd) of unused rail capacity in Western Canada at present, according to the Canadian Association of Petroleum Producers' (CAPP) data. That’s over and above the approximate 200,000 bpd of capacity that will be used to ship oil in 2015, and few, including Moody’s analysts, are in any doubt that moving crude by rail will rise in all likelihood. Rail freighters' joy is also likely to be further prolonged by the current political climate in Canada. With the oil and gas industry friendly Stephen Harper administration having been voted out after nine years in office, it is all but guaranteed the new Liberal Party Government's pre-election promise to “rework the domestic pipeline approval process” will go ahead. Not quite clear on the minutiae and what this would entail until details are published and then put to the Canadian parliament later down the year. However, having seen plenty of such overtures in numerous jurisdictions, the Oilholic feels an increase in cost and timescale of the regulatory process is highly likely, alongside the escalating cost of environmental compliance in Canada. 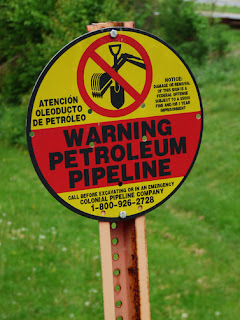 All of this comes at a time when Canadian oil exploration and production companies could well have done without it. A tough few years are on the horizon. That’s all for the moment folks! Keep reading, keep it ‘crude’! © Gaurav Sharma 2015. Photo: Railway oil tankers outside of Calgary, Alberta, Canada © Gaurav Sharma, March 2011.